A shoe that goes with EVERYTHING that’s more comfortable than most; that’s what you get with the Born Lex. 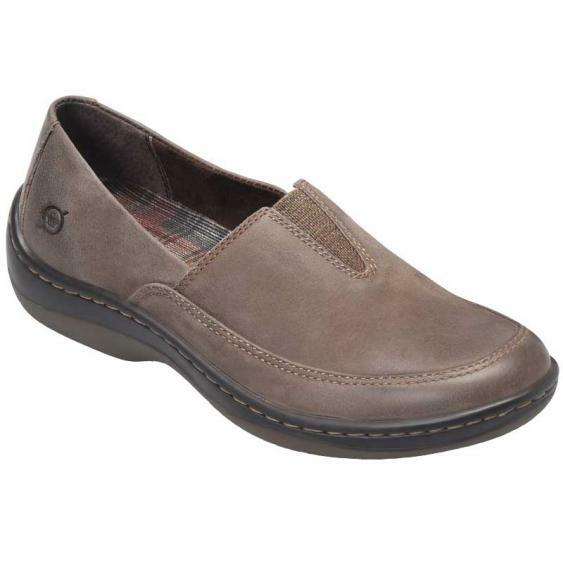 This women’s slip on has an upper made of nubuck leather with an elastic V for a flexible step. The microfiber and leather lining is easy on a barefoot and the slip-on design makes the Lex just as convenient as it is comfy. With a generously cushioned footbed and Born’s Opanka construction, you are sure to get all day comfort. Finished with a rubber outsole for traction, the Born Lex has it all.